Burritos are some of the easier lunches to make for the freezer. You just add stuff to the inside of a tortilla, wrap it up, and freeze it! We’re a big fan of Mexican food in this house, so I decided to make some Mexican Burritos. 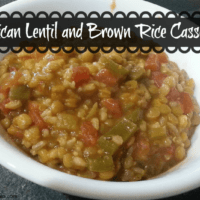 They were pretty easy to make, especially since my slow cooker did most of the work. 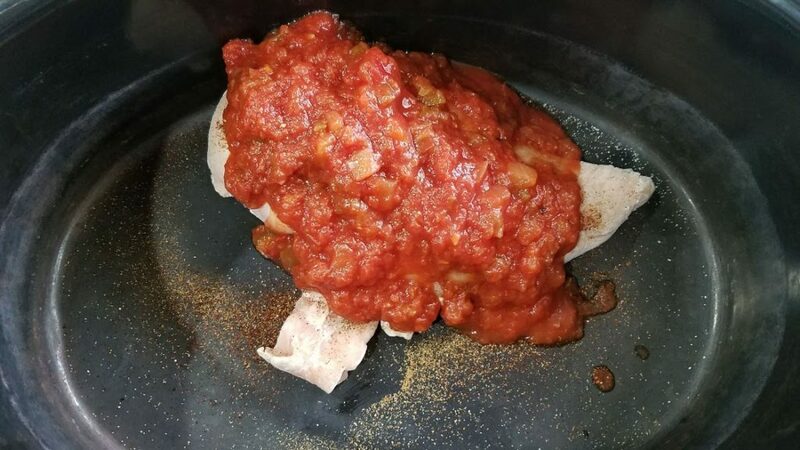 I started by putting a pound of frozen chicken in my slow cooker with a packet of taco seasoning and half a jar of salsa. Then I let it cook for about 6 hours and shredded it in about 30 seconds with my KitchenAid mixer. Yep, I said I used my mixer to shred my chicken. 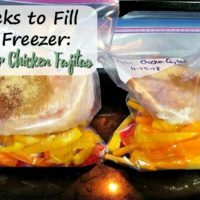 It’s the best cooking hack I’ve seen in awhile and it saves me tons of time and energy! I let the chicken cool for about 30 minutes, then put about a 1/3 cup of chicken and 1/4 cup shredded cheddar on a tortilla. Then I tucked in both sides and rolled it up, and wrapped it tightly in plastic wrap. This recipe ended up making 8 burritos. It used up all the chicken perfectly! I put the burritos in the freezer and then put them all in a gallon-sized freezer bag. I don’t like cooking burritos from frozen because the ends always end up rock hard and the insides are cold. So I let them thaw in the fridge before cooking. If you take these to work, I’m sure if you take out the burrito in the morning it should be ready by lunchtime! 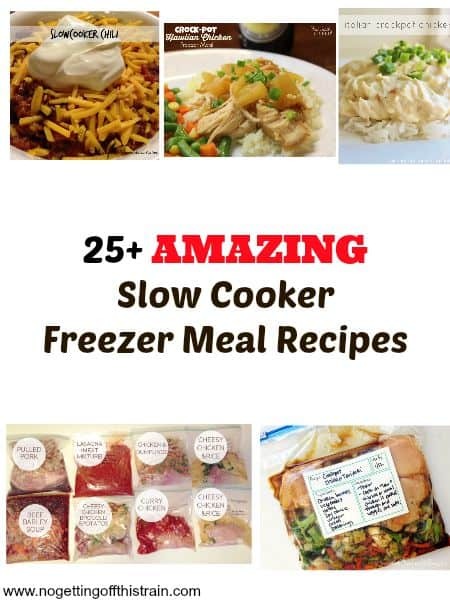 How’s your freezer cooking going so far? Leave a comment and let me know what recipes you’re using! Have easy and healthy lunches ready for the freezer with these Slow Cooker Mexican Burritos! Only 5 simple ingredients, too! In a slow cooker, add the chicken. Sprinkle the taco seasoning over top and pour the salsa over the chicken. Cook for 5-6 hours. Shred the chicken. 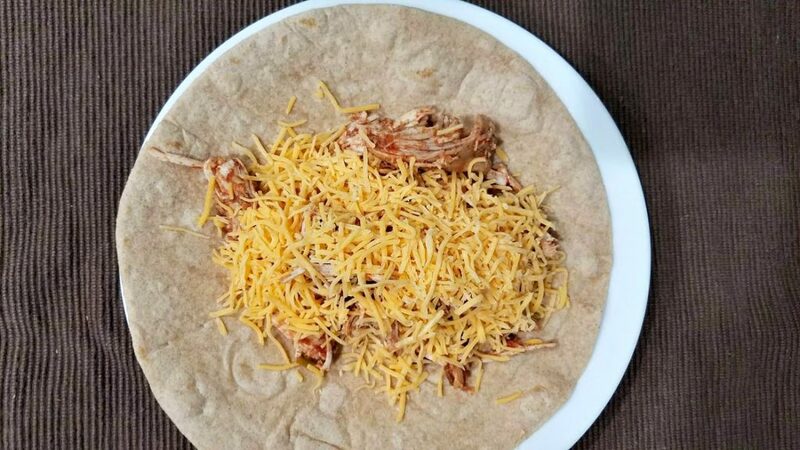 Once it's cooled for about 30 minutes, add about a 1/3 cup of chicken and 1/4 cup shredded cheddar to a tortilla. 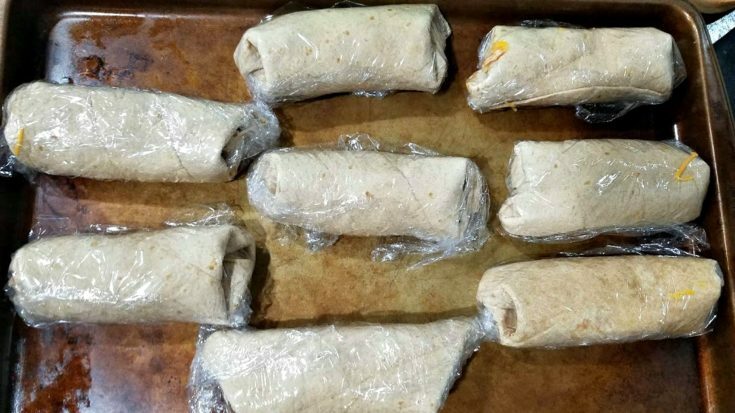 Roll the burrito, making sure to tuck in the ends, and wrap tightly in plastic wrap. 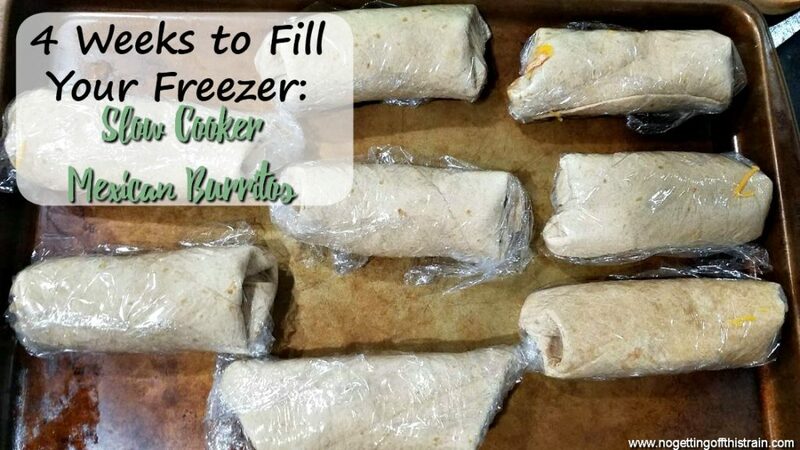 To freeze, place burritos on a cookie sheet and put in the freezer. Once completely frozen, transfer to a gallon-sized freezer bag. To reheat, let thaw in the refrigerator. Remove the plastic wrap and microwave in 1-minute increments until fully heated.